The priesthood: no other life? In W.A. Public Library system. Brian Moore (1921 – 1999) was a well-known writer of the 1980s and 1990s. He wrote the 1991 screenplay based on his novel, Black Robe, exploring the Jesuit missions with Native Americans in frontier Canada. 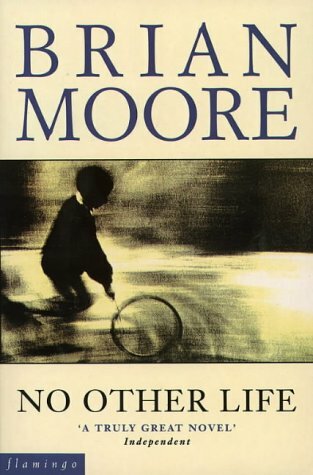 Moore was short-listed three times for the Booker Prize. In No Other Life, the black robes of Jesuits are exchanged for the white robes of the White Augustinians, and the cold places of Canada for the warmth of Ganae. a desperately poor Caribbean island. The Augustinian Fathers run a school where the mulâtre (mixed-race) elite educate their children. The noirs, the blacks, are kept in wrenching poverty by corruption. The island has always been run by a mulâtre dictator backed by the army. Father Paul Michel wants to increase the number of black children at the school. He rescues a talented boy, Jeannot, from abject poverty. Jeannot is a single-minded boy who declares he wants to be a priest like his mentor. He eventually joins the Augustinians but runs a parish for the poor rather than work in the Order’s school. Jeannot’s oratory raises the hopes of the poor and he is elected President. But the effects of his leadership are ambiguous: is he an old-style socialist rabble-rouser, or is he a saint? The locals think he is their Messiah. When the Augustinians expel Jeannot, he turns to his mentor. He implies that he would rather give up everything than be stripped of his priesthood. There is ‘no other life’. Father Paul finds himself at the heart of a dilemma: is a priest an educator of the rich, or the servant of the poor? Is faith a pre-requisite for the priestly life, and what happens if a priest loses it? From the moment he meets Jeannot he feels a bond with him, but as their friendship grows, Father Paul learns how to love. When violence and chaos erupt from the actions of his friend Father Paul asks how far does loyal love extend? This is a gripping and beautiful story, written with a sure touch. The events on the island of Ganae are presented in a fascinating manner, but the themes of ambition and identity resonate everywhere. No Other Life is certainly a book for priests. What is the core of Christian priesthood, and by extension, Christian practice? Is there ‘no other life’ that we can imagine for ourselves? And if not, that goes to our vocation and identity. But is also a novel that will draw in any person and open us to the love that is in our midst even when we feel it is absent. It transcends even the institution that feeds you. I missed this book somehow, thanks for brining it to attention. Mind Journeys Powered by WordPress.com.